Our template framework (Helix 3) is integrated with Empire. Package includes helpful and time-saving demo contents. 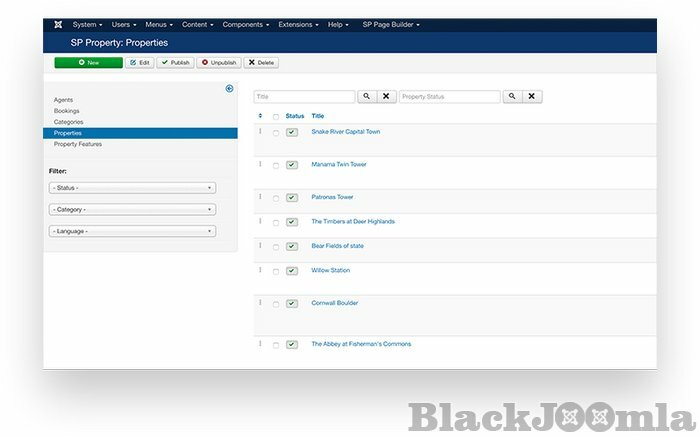 Prebuilt page layouts can be tweaked and personalized by using our multi-tool SP Page Builder Pro content construction kit to make your site unique. The template is compatible with all modern mobile devices. Flexible enough to service all niches not only core real estate environment. Template code is clean from vulnerabilities or security issues. Please check the detailed features to learn more. Empire is the September 2016 template from the house of JoomShaper. 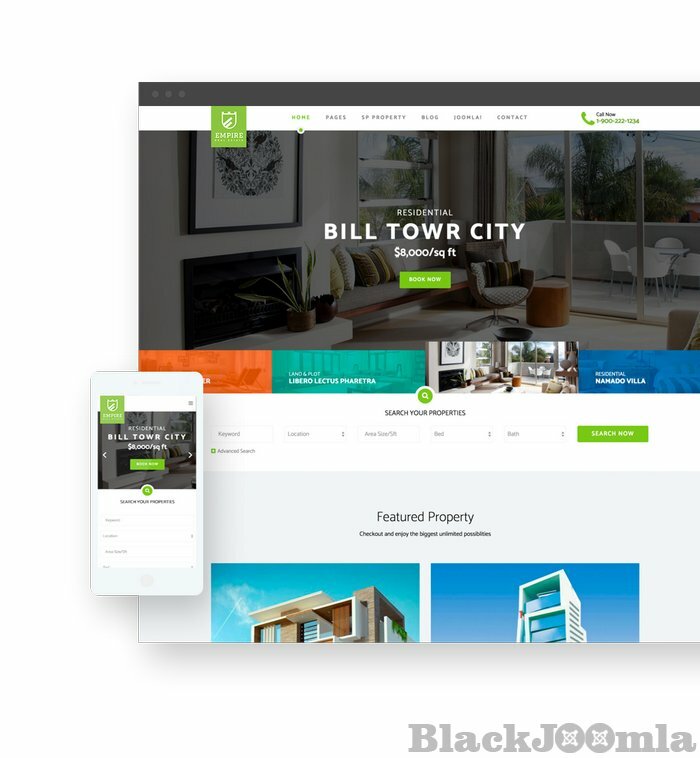 The 100% responsive Joomla template is crafted for real estate agencies, brokers, builders and other relevant parties. Empire has an organized, beautiful, neat & clean design with every modern feature necessary to launch a real estate centric website to display properties with easy searching systems. Empire is so easy to use. The template features are very time efficient. It demands less technical skills. No developer skill required, no user-end coding necessary. Just use it your own way. Empire has a range of amazing features that will guide you to create an informative real estate portal quickly. We’ve developed a special component called SP Property for Empire to manage everything at the core of a real estate portal. Add custom property posts to your Joomla site with maps, images, contact details and so on. Acymailing component is provided to create and manage email newsletter lists and campaigns. The template has a stunning homepage design with 4 preset colors. The piece is responsive that means your site will be accessible from any device with any screen size! 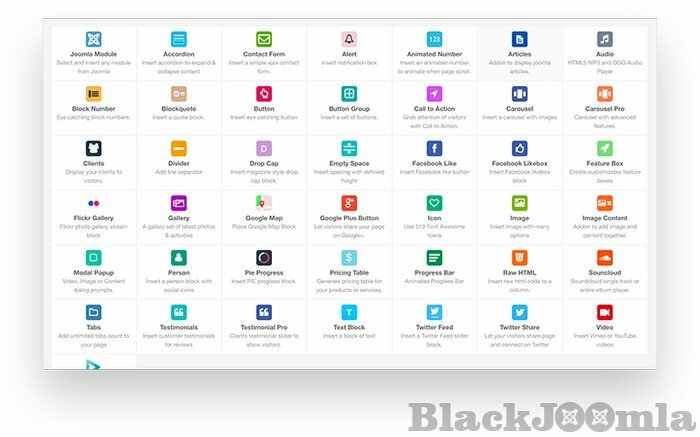 There are a handful of dedicated modules to present your contents smartly. Empire is built on JoomShaper Helix 3 Framework which ensures you a 100% responsive, lightweight and mobile ready site. 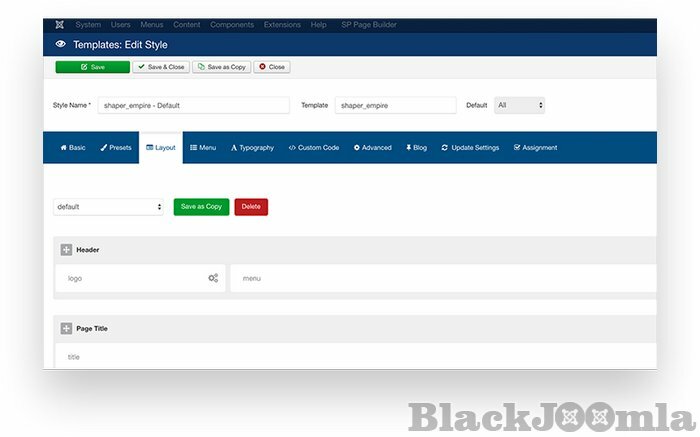 The template comes with SP Page Builder Pro, our revolutionary drag-and-drop Joomla content construction kit. 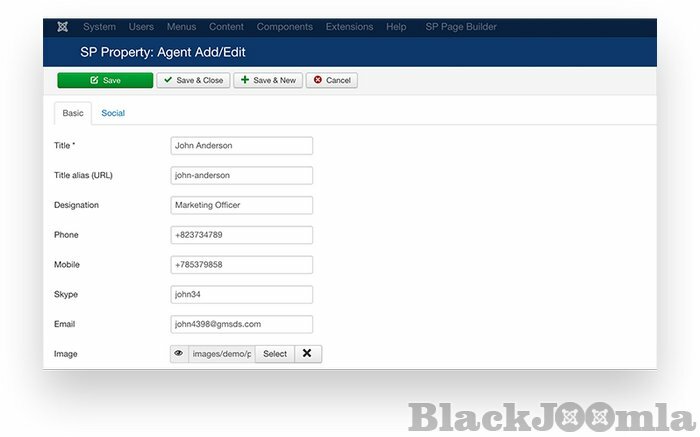 Use the built-in 41+ custom and premium add-ons to create a property site that converts.